Two 8 oz. 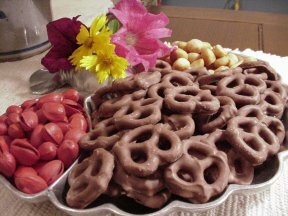 packages of milk chocolate coated pretzels. Have these ready for your next party!